◦	We present free community concerts performed by local musicians and guest artists. ◦	We provide performance opportunities for members through participation in formal programs as well as more relaxed in-house concerts. ◦	We provide professional opportunities for musicians and music teachers such as workshops, master classes, and round table discussions. ◦	We provide performance opportunities and scholarships for students through recitals, competitions, and festival auditions. ◦	We provide a referral service for those in the community seeking professional music teachers. We welcome all who appreciate music and who want to further the arts in our community. To provide professional interaction between Club members, expand performance and competition opportunities for young musicians, and promote music in our community through formal concerts and other musical performances and educational activities. A community enriched with musical opportunities for students, teachers, and music lovers through education, performance opportunities, competitive scholarships, and concerts featuring local and visiting professional musicians. NFMC is the nation's largest organization dedicated to music education and the promotion of creative and performing arts in America. Since it’s founding in 1898, the NFMC has grown into one of the world's largest music organizations with club and individual members of all ages. NFMC provides opportunities for musical study, performance and appreciation to more than 200,000 senior, student and junior members in 6500 music-related clubs and organizations nationwide. 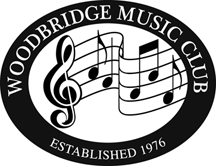 Members are professional and amateur musicians, vocalists, composers, dancers, performing artists, arts and music educators, music students, generous music patrons and benefactors, and music lovers of all ages. Dedicated to finding and fostering young musical talent, the NFMC conducts annual Junior Festivals with more than 117,000 participants. NFMC offers more than three quarters of a million dollars in state and national competitions, including four $10,000 biennial Young Artist awards, and the $10,000 Ellis Award for Duo-Pianists. The Young Artist and Ellis Duo Piano awards include two years of performance bookings. During WW II, NFMC received accreditation by the Veterans Administration and promoted music for human welfare, music therapy, and music service in hospitals.